I started ktc mgmt as a consulting company back in 2004. My business partner and I had helped a few big companies with projects and did fairly well in doing so. We learned a lot, won some and lost a few too. Things were pretty good. In 2008, I decided to change the companies focus towards music because of many personal influences, my family and because I thought it would be fun to take on another challenge. After grinding out efforts on the management side with a band divided in Sweden and the U.S., absorbing/learning as much as I could about the music business and helping my family with a music-based non-profit, I started to see the light on what ktc mgmt should do next. We want to help artists make and save money. We won’t make them sign any difficult contracts, we’ll just touch and go as you need us. We’ll work our asses off for your music and your band. We’ll do whatever it takes. Aurora Cowen, Charissa Lock, everyone at ktc that helped with design, development, SEO, video and music production, my friends who keep my grounded and my family which inspires and supports me in the most unbelievable of ways. Time to shine here at ktc. 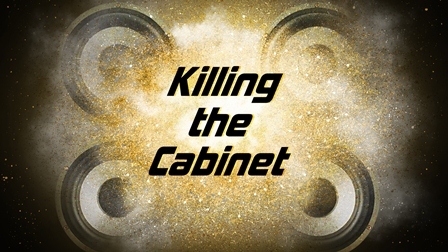 Look for this blog to relaunch at killingthecabinet.com soon. Oh and we’re releasing a video soon too.